Last week in my San Francisco Giants season preview, I noted seven things that needed to happen for the Giants to have a successful season. I thought it would be good to check in on those things when it's feasible (also known as when they have a day off), to see how they're doing in that regard. They are 5-2 and in first place in the NL West, so that shows most things are going right... at least through today. Their next game as of this writing is the home opener, Tuesday at 1:30 against the Arizona Diamondbacks. 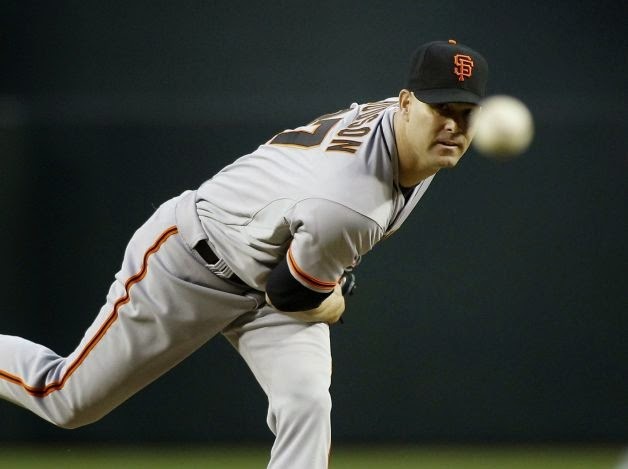 Successful season key #1: Matt Cain needs a good year. Well, so far he's been the starting pitcher in both Giants losses. That's a touch worrisome for an ace with a 100-million dollar contract, wouldn't you say? Sunday night against the Dodgers I really think he only made three mistakes... however they resulted in three home runs- two to Matt Kemp, who took the second one way out to the opposite field (and of course he's on my fantasy team and I didn't start him this weekend), and one to Hanley Ramirez, who also homered twice in that game (got his second one off a Giants reliever). 8 runs and 13 hits and a 5.72 ERA in 11 innings. Clearly not the best start. But those were on the road. 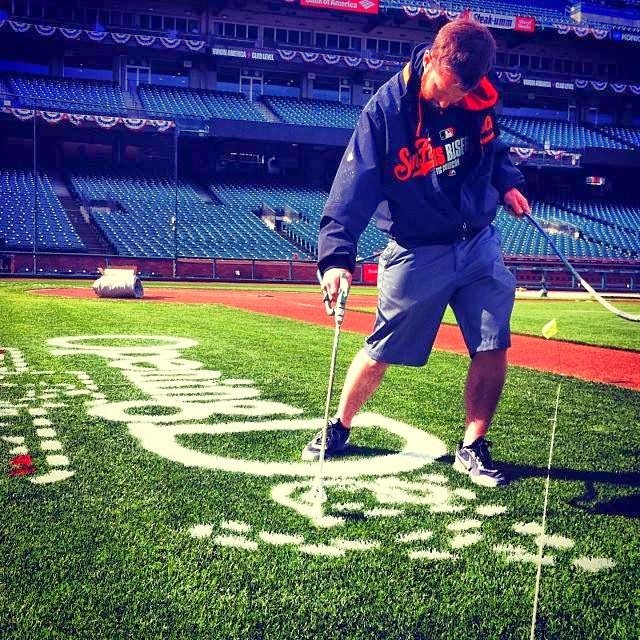 Not going to say a make-or-break this week by the Bay, but it'd be nice if he settled down at his home park. Successful season key #2: Tim Lincecum needs a decent year. Timmy is the fourth starter, so he's only had one outing so far. But he gave up two home runs in his season debut to the Diamondbacks (the same team he'll face on Wednesday), and didn't get the loss thanks to a clutch three-run homer by Angel Pagan in the 8th. Otherwise it was not looking so good for the orange and black. The first home run came in the first inning and to the third batter he faced- admittedly it was Paul Goldschmidt, who is considered the best first baseman in the division- and the second to Mark Trumbo (who as of this writing has homered in four consecutive games). One start does not a season make, but it looked like he was laboring a bit. We'll see how Wednesday goes. Successful season key #3: Tim Hudson needs to pitch better than I can. He's only slightly younger than I am, that's why I put it that way. Huddy has also just thrown one game, he's the starting pitcher in the home opener Tuesday afternoon. But out of all the pitchers mentioned, he looked the best so far. It was a close game, a two-one Giants victory, and Huddy pitched into the eighth. Didn't give up a run, struck out seven, three hits. A great start for him. Successful season key #4: Angel Pagan is the only regular starting centerfielder/leadoff man they have. Pagan was out with a hamstring problem most of last season, and the Giants couldn't get anything close to his production- either at bat or in the field. Just seven games in and he's already shown how valuable he is to this team several times. One, a great diving catch in the aforementioned Tim Hudson start that saved a run and ultimately proved to be the difference. And two, the aforementioned three-run homer in Lincecum's start that saved Timmy's bacon and the team. Seven games in and I'm almost positive he's done something every game to help this team. When your leadoff man can mash (Pagan already has 8 RBI and four extra-base hits), it helps the whole lineup. So far, so good. Successful season key #5: Pablo Sandoval can't find the clubhouse candy stash. It's only a week in, so that's hard to tell. But on Saturday he both hammered a three run shot and made a nice agile play at third. Like Pagan, too early to tell. But the signs are encouraging. Successful season key #6: Buster Posey can't get hurt. Well, he isn't, but again, only seven games in. Already two dingers, his first on opening day in the top of the ninth to break a seven-seven tie. Man, that was good to see. 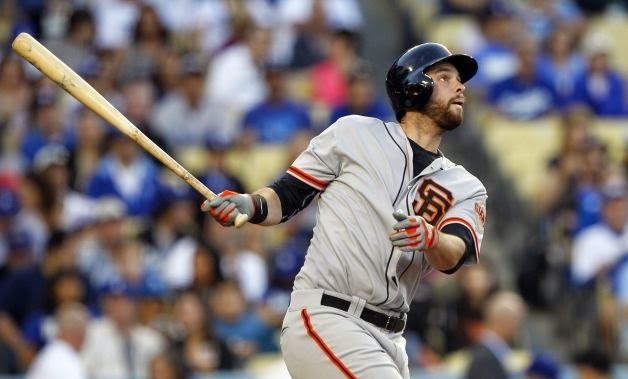 Successful season key #7: Brandon Belt must continue to progress as a power-hitting first baseman. And how has this guy done in the first seven games? Merely hit four homers, second most in the league (behind the aforementioned Mark Trumbo) from the second spot in the batting order. If he keeps this up, and Posey keeps hitting, and Panda stays away from that candy stash, the pressure will be off Cain, Lincecum, Huddy, and the rest of the pitchers. Belt, who changed his batting grip in the middle of last season, has seen nothing but improvement since. He joked that he wanted to hit 74 homers this season (which would, officially, pass Barry Bonds for the most in a major league season, but I think most people now consider the record to be back with Roger Maris, at 61). 74? The biggest jump in home runs from one season to the next is probably Babe Ruth- 29 in 1919, 54 in 1920 (both, at the time, were major league records for homers in a season). Belt hit 17 last season. If he matches the Sultan of Swat, he'll have 52. I think most Giants fans will take that. Can't complain with a 5-2 mark seven games in. They've won both their series, 3-1 against Arizona and 2-1 against the Dodgers. This week, three more against Arizona and three against Colorado. Huddy, Cain, and Lincecum all with good starts at home. Cain needs it the most, you'd figure. And Belt keeps it up. In addition to all the other bits. The season is here and they're off to a good start. Welcome, spring.